May 13, 2015 – A $400,000 grant from Lockheed Martin Corporation has established the Lockheed Martin Space Education Center (LMSEC) at the Space Foundation Discovery Center in Colorado Springs. 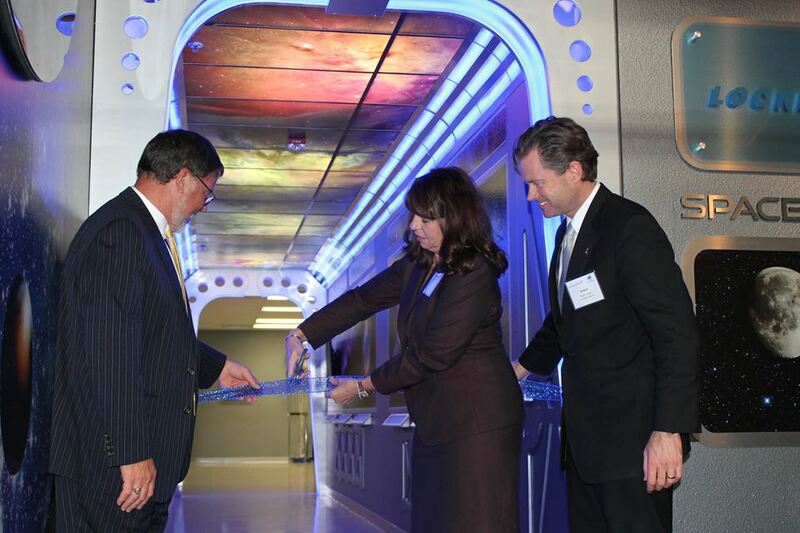 LMSEC was dedicated in a public ceremony at the Space Foundation Discovery Center on May 12, and is already benefiting Colorado schoolchildren and educators, especially those at schools serving large concentrations of low-income and at-risk children. Lockheed Martin is a long-time champion of future innovators in science, technology, engineering and math (STEM). Lockheed Martin funding is providing necessary STEM equipment and hardware for program delivery, scholarships for field trips and support for Space Foundation teacher professional development programs. An important piece of the Lockheed Martin funding is being used to offer not only on-site, but also ‘virtual’ field trips to classrooms in rural areas of Colorado and to schools across the country and around the world that would not otherwise have the resources to give their students an enriching STEM experience at this unique learning center. The LMSEC will directly impact more than 8,000 students and teachers annually, and the long-term impact will grow exponentially from the ripple effect of hundreds of teachers becoming better trained and uniquely motivated to inspire current and future students. Hundreds of thousands of students will be reached and inspired to join the next generation of STEM leaders.